I used to be a big proponent of putting a lot of stuff online for students. After two upgrades to learning management systems, where most of the class material I worked hard on was damn near impossible to import into the new system, I am considerably less enthusiastic. Everyone has a limit to how many times they are willing to key in the same stuff. Again. My colleague Maria Pereyra died today. I was on the search committee that helped hire her, and I was happy to have her in the department. She was usually in a good mood, with a smile on here face. This was a bit of a shock. She had seemed healthy, no obvious health problems. But now she is gone. It's very sad. I love that aquatic organisms can be more delicate than almost any animal you can see on land. 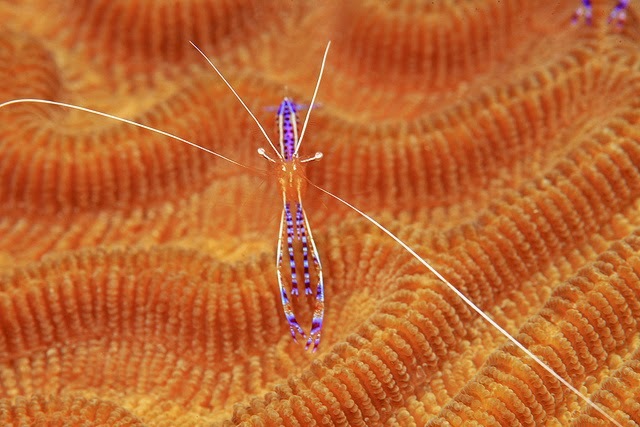 This small cleaner shrimp is one example. Photo by Laszlo Ilyes on Flickr; used under a Creative Commons license. Information and data included in abstracts presented at the SfN annual meeting are embargoed until the conclusion of the presentation or SfN press conference. 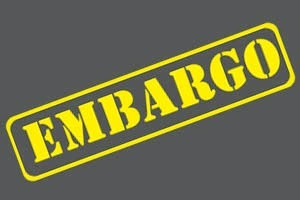 Coverage of an abstract, poster, lay summary, data, or supplemental material, is strictly prohibited until the embargo is lifted. The SfN has consistently been tone deaf when it comes to the scientific community online and social media. Their choices for official conference bloggers have repeatedly been baffling (see here from 2010 and here for 2011). Protecting the science from whom? What are the “wrong hands” that SfN is worried about conference results falling into? 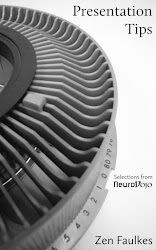 What nefarious individuals must be kept away from new neuroscience information? And how is someone’s research “protected” by an embargo that only lasts until the end of a presentation? Let’s say that I was giving a talk at Neuroscience, and someone breaks the embargo with a tweet. How will SfN enforce their communication policy? What will be the consequences? I suspect the answer is, “None.” This makes this policy toothless and subtly encourages rule breaking. I used to think that a reason for being a little circumspect about distributing conference materials outside the walls of a conference was to avoid running afoul of the Ingelfinger rule: journals won’t publish results that have already been published elsewhere. This tweet from SfN implies this. Letting someone snap a photo of your poster might seem harmless, but it could hurt chances of being published. But I have never, ever heard of a single case of a researcher who got burned and had their manuscript rejected because information from their conference presentation was mentioned online. Here are just a few articles on the advantages of tweeting from conferences. There are many more that I know I am missing; let me know of others and I will add them! Ten simple rules for live tweeting scientific conferences by Sean Ekin and Ethan Perlstein in PLOS Computational Biology. With all the advantages these articles outline, what are these deep dark disadvantages SfN apparently sees that we don’t, that are so bad to warrant stopping up the flow of conversation? Additional, 22 August 2014: Ivan Oransky has a post describing social media embargoes at another conference, Cold Spring Harbor Laboratory meetings. It is interesting to compare CSHL to SfN in this regard. The motivation for CSHL’s policy is up front. SfN’s reasoning is obscure. CSHL’s policy “tries to evolve.” SfN’s seems to be completely top down and unresponsive. I recently wrote a slightly whinging blog post about the time I spent updating all my online profiles after I had my most recent paper published. To my surprise, that experience got mentioned in a recent news article in Nature. It’s a sidebar that only appears in the online version of the story, not the print version, alas. It’s a good reminder that when you write in public, you never know where your influence stops. I•Con was a fan run science fiction convention in Victoria, British Columbia. There are several SF conventions with that name, but in this case, “I” was supposed to stand for “Island”, as in Vancouver Island. 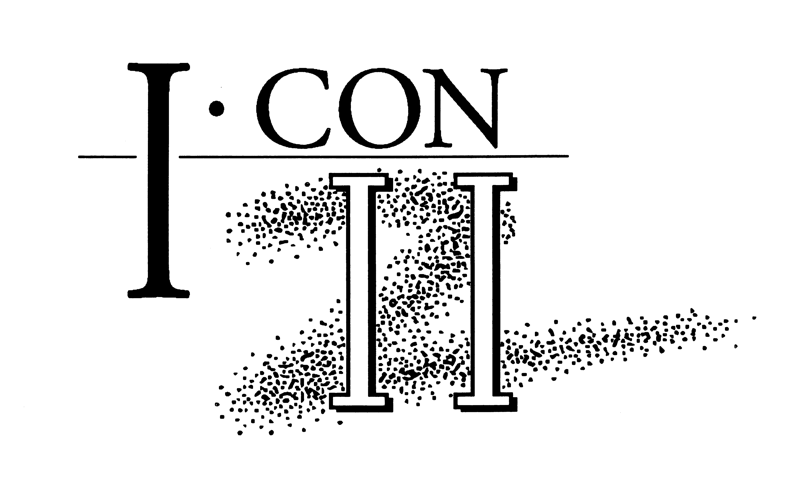 There were two iterations of I•Con, and I was involved in organizing the second one, in October 1991. I was the art show director, helped get Barry Beyerstein invited as a science guest, and did miscellaneous other things, including designing the logo you see above. This logo was initially designed on a Radio Shack Color Computer 3, with software called CoCo Max 2 (I think). You can tell the age of the software from the “spray can” pixels that make up the “2”. The shape of the “2” was inspired by the Lethal Weapon 2 logo. I’m still a little surprised by that, because I’d hated Lethal Weapon 2 so much that I am surprised that I would life anything at all from that. I used the Roman numerals because I liked the repetition of the shape of the “I” in I•Con and the “II” in the numerals. When I made it, I considered this a success because it was about 90% of what I envisioned in my head. Looking at it now, there is a little too much going on in the logo. Having both the Arabic and Roamn numerals is a little bit of overkill. It probably does not need the horizontal line between the word and the number. But you know what? I still like it. 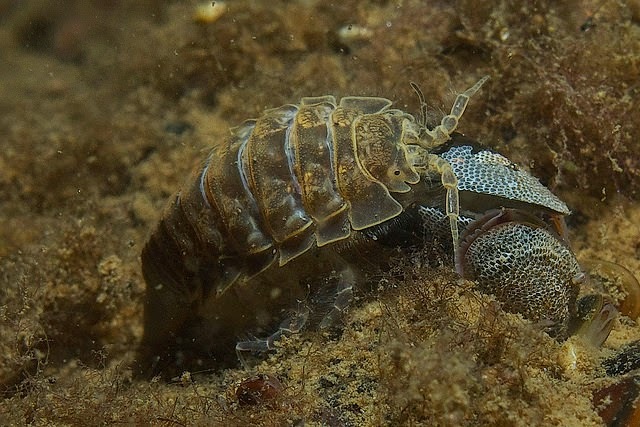 Saduria entomon is the Latin name of this isopod, photographed on the sea bottom as it chows down on a meal. Photo by Mercury dog on Flickr; used under a Creative Commons license. In addition to helping with the editing, my name appears on a couple of chapters, too. It’s slated for release early in 2015. Start recommending to your libraries and saving for your own copies today! Update, 21 July 2015: Chapters showed up in my Google Scholar alerts today! It’s almost here! Larva of Crab. Second stage. Larva of Crab. First stage. they are then about half a line in length. Soon after exclusion this larva casts off its envelope and assumes the appearance represented in Jig. 139., which closely corresponds with that zoeaeiform Crustacean whose further changes were witnessed by Thompson, and which he had assured himself was an early or larval state of a common crab.The last form which immediately precedes the assumption of the mature characters corresponds, according to Thompson, with that of the genus Megalopa. The additional evidence adduced, in 1839, by Capt. Du Cane in proof of the actual metamorphosis of the Crustacean in question, was most acceptable. He affirms a corresponding metamorphosis to occur in the ditch-prawn (Palemon variabilis) and common shrimp (Crangon vulgaris). 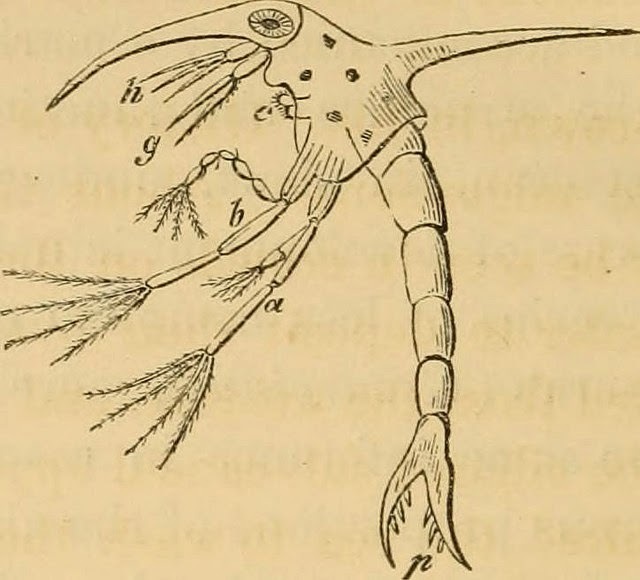 Dr. Thompson has witnessed similar metamorphoses in the genera Palinurus, Squilla, Pagurus, Porcellana, Galatea, and the marine species of Astacus, as well as in Palemon and Crangon. Photo by Internet Archive Book Image on Flickr; used under a Creative Commons license. We now have the first look at the American Association for the Advancement of Science’s promised open access journal, Science Advances. They want $3,000 as an article processing fee. I have no idea what services they offer will justify a price that is double that of PLOS ONE and thirty times that of PeerJ. Update, 13 August 2014: A couple of other journals in the same market as Science Advances (online, open access) have made a couple of interesting announcements today. eNeuro is specifically soliciting for “Negative Results, Failure to Replicate, and Confirmation.” This is important, because replications are difficult to publish, but important. eLife has just announced “Research advances”, which lets authors publish “significant additions” to their articles that are already out. I like these. The more journals try these sorts of innovations, the faster they might be able to shake the label of being Zune journals. Will Science Advances try anything this innovative? And while I’m here, note that a $3,000 sticker price for the default options (less than 10 page article, more restrictive copyright license) makes Science Advances one of the more expensive open access journals. I’ve placed it on the graph seen on this site. Meanwhile, an open letter started by Jon Tennant to AAAS (I signed) has gotten a write-up on The Scientist. 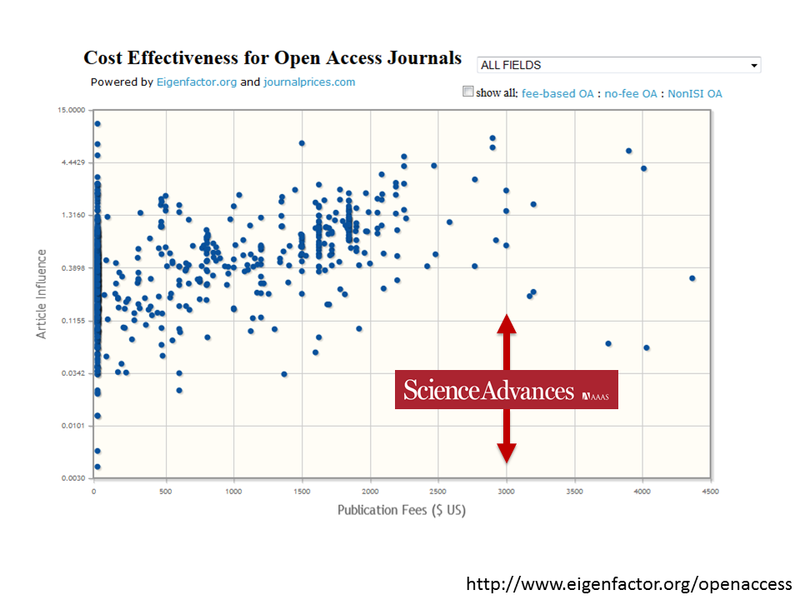 Update, 14 August 2014: I realized the image of Science Advances cost didn’t show the range of possible expenses, so I updated it. I had to extend the X axis. Still on the high end, but slightly closer to market value than Science Advances. Hat tip to Jon Tennant. As an instructor, I never want to say that education or training or teaching is worthless. But I don’t think every problem can be fixed with training. There is a lot of interest in scientific misconduct. The sad, sad case of STAP cells is only one of the more recent high-profile cases. Our own experience as both scientists and teachers suggests to us that the problem begins with, and may be partially solved by, education. Particularly at the early career stages, it is not surprising to find people do not understand some of the academic norms. At a workshop that we ran in April this year, involving mainly PhD students and early career postdocs from a wide range of universities, we asked participants to complete a questionnaire on misconduct. Sixty-eight of them answered 51 questions to rate their perception of the severity of different kinds of questionable, unethical and fraudulent research practices, from zero (not really a problem) to three (severe, deserving censure and punishment). We were relieved to find that most (96 per cent) of them rated “deliberately making up some or all of the data in a manuscript submitted for publication” as three (don’t ask about those 4 per cent who didn’t!). However, we were dismayed that only 54 per cent gave a three to “knowingly selecting only those data that support a hypothesis” and 42 per cent to “deleting some data to make trends clearer”. The naivety is staggering. From grad students, this might be expected. From postdocs, not so much. I wonder what the scores would be from working professors. Education and training can be very effective at combating mistakes due to ignorance. But I doubt ignorance is the major reason for ethical lapses. I would point to something both the Times Higher Ed and The Scientist articles bring up: competition. Here is something I tweeted during my time as the curator of the Real Scientists Twitter account. The quote is from Jeff Alexander, who was lead designer on Legend of the Five Rings and saw its tournament scene. 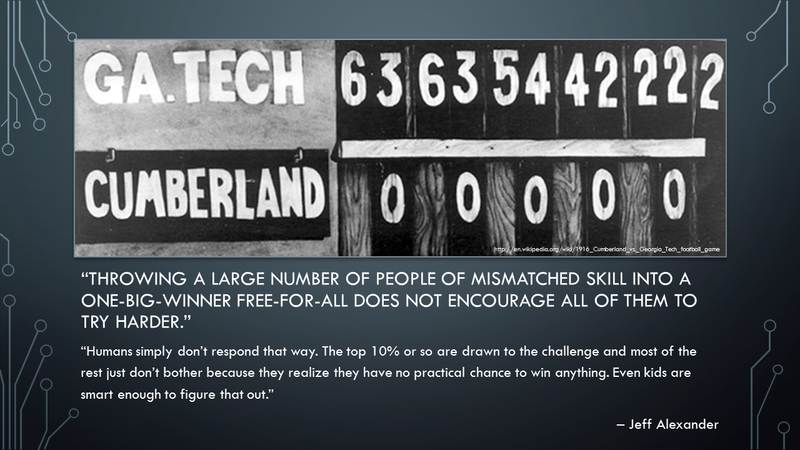 In intense competition with few prizes, people will want to quit the game. But what if they can’t quit the game? People who have invested a lot of time and effort into this may conclude that they have no chance playing by the established rules. Is it any surprise people will cheat? If we want to deal with research misconduct, we need to change the incentive structures in scientific research. You can't teach people to be ethical. Not adults, anyway. Ethics is not a skill you get from attending the right Powerpoint presentations. It’s a long, hard haul to get people to perform their work ethically. External influences can override all that training. Yesterday, a single tweet announced that Kent Anderson would be the publisher for the American Association for the Advancement of Science (AAAS). This has now been confirmed by AAAS (longer press release here). I would like to congratulate Anderson for landing what must be a plum gig. And I wish AAAS luck, because they will need it. Anderson has a lot of knowledge about the scientific publishing industry, that much is clear. 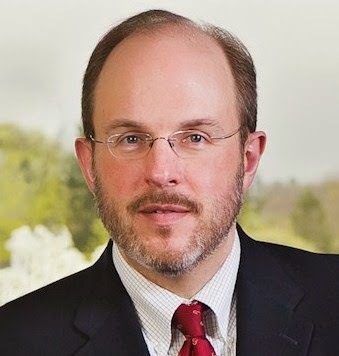 He has served as president of the Soceity for Scholarly Publishing. Anderson argues that subscription journals by “for profit” publishers is the One True Path of scientific publishing. This, he says, is the only method of disseminating scientific information that has been sustainable (e.g., here). He has been extremely critical of PubMed directing traffic away from publishers (e.g., here and here). That huge numbers of working biomedical scientists find PubMed invaluable to their research and use it every day seems not to matter much in Anderson’s point of view. At every turn, Anderson had advocated positions that favour the interests of publishers over either the needs of working scientists or the general public. It’s okay to have a point of view. It’s okay to defend publishers (I do it myself sometimes.) But it seems odd to put Anderson, for-profit publisher booster, in charge of the publishing arm of not-for-profit, member-driven scientific society, particularly at a time when the society is launching open access journals. Anderson has a reputation, and it’s not of someone who is interested in innovative publishing. Anderson’s appointment is not a good move, public relations wise, for AAAS. But it will give other publishers an opportunity to contrast their positions with those espoused by Anderson. 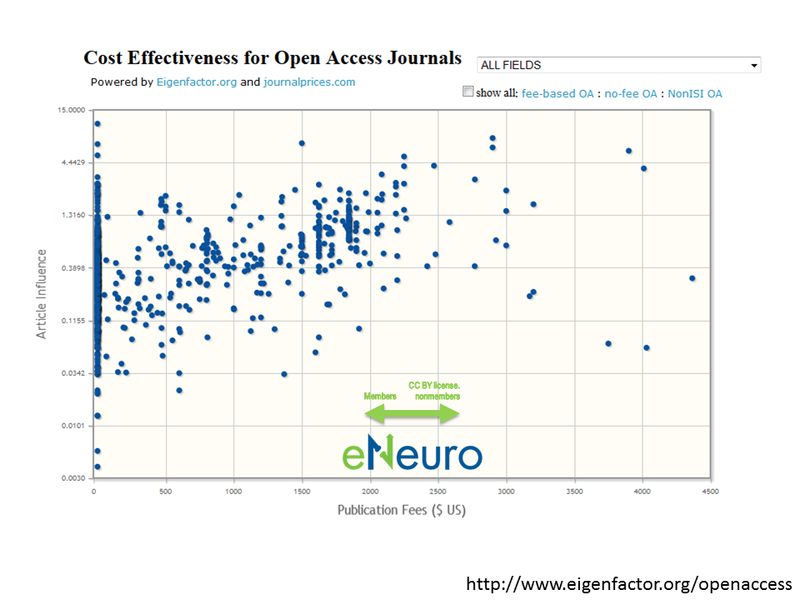 What publishers will support giving researchers and readers valuable tools that they want? I once thought that Science magazine was rife for takeover by its members to become an open access journal. Anderson’s appointment seems like an open access takeover is exactly what AAAS fears, and they want someone to dig a moat and man the barricades. Edit: Struck “for profit” in a couple of places, as the subscription model is probably more central to Anderson’s argument. And, as noted in the comments, Anderson has worked with non-profits. Visual of a tweet from Dr24Hours. Another prominent opinion piece is crying again that there is too much low-quality research. This annoys me so much. It presumes “quality” can be judged immediately and accurately, and that researchers should all be of the same mind about what the “right” research questions to ask are. Would anyone ask a musician, “Why don’t you just write hits?” without expecting to get punched in the face? No, because there is some understanding that not everything is going to be a hit. Let’s look at a few bits of the article here. Estimates vary wildly, but probably between a quarter and a third of all research papers in the natural sciences go uncited. Scientific papers are love letters to the future. We write them in hope that not only will they be useful within the first few years of publication, but that they may be useful to researchers living long after we are not. Some works will only reach a small audience. That does not automatically make them less worthy, or less influential. 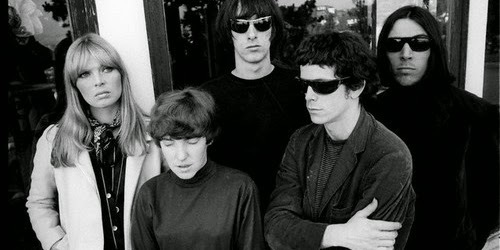 In 1968, The Velvet Underground were releasing records that very few people bought. But their work lasted, and regularly shows up on “Best of all time” lists. 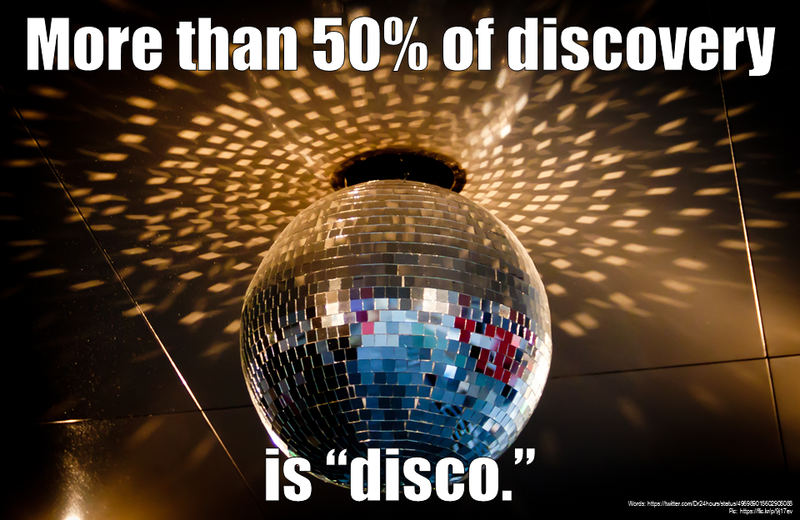 It’s a breezy, catchy, even memorable tune, but... I bet it doesn’t show on on many “Best of all time” lists now. I wager not many people would know the name of the band now. This in turn leads to the bane of every scientist's existence: far too many papers to read in far too little time. Not my bane. It has never been easier for me to find papers that are relevant to my interests, thanks to Google Scholar and similar tools. (S)ubscription business models at least help to concentrate the minds of publishers on the poor souls trying to keep up with their journals. Elsevier has almost 3,000 technical journals, and Springer has 2,200 journals, and Wiley has 1,500 journals, most of which are subscription journals. That, to me, does not suggest that subscription-based publishers are trying to keep the literature down to a manageable size. 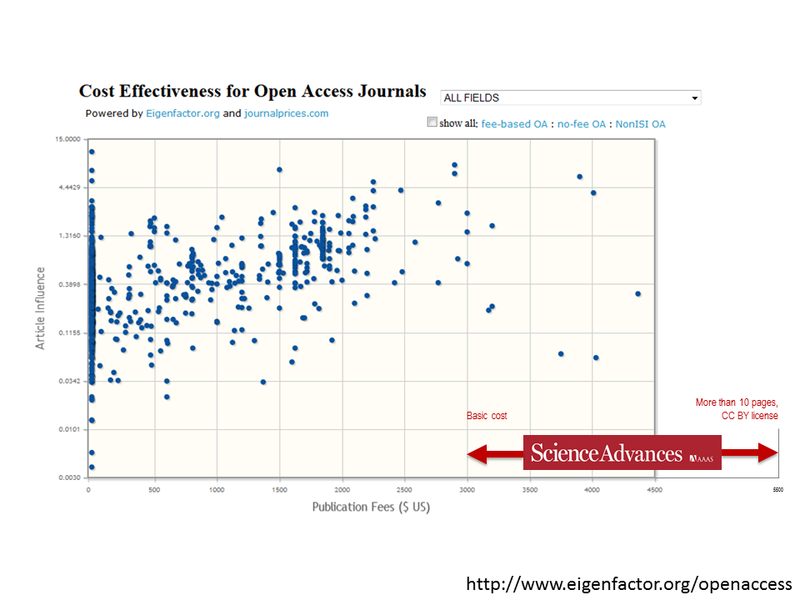 Subscription publishers have incentives to publish more scientific literature, just like open access publishers do. If each journal tends to be profitable, then you have incentive for publishers to make more journals. The more journals they can put in their “big deal” packages, they more they might make. On one hand funders and employers should encourage scientists to issue smaller numbers of more significant research papers. This could be achieved by placing even greater emphasis on the impact of a researcher's very best work and less on their aggregate activity. How are we going to evaluate “best” work? Unfortunately, the typical way that “very best work” is evaluate now is the journal Impact Factor (van Dijk et al. 2014). The problems of using Impact Factor to assess individual work are many, to put it mildly (Brembs et al. 2013). On the other they should require scientists to share all of their results as far as practically possible. But most of these should not appear in the form of traditional scholarly papers, which are too laborious for both the author and the reader to fulfil such a role. Rather, less significant work should be a issued in a form that is simple, standardised and easy for computers to index, retrieve, merge and analyse. Humans would interact with them only when looking for aggregated information on very specific topics. So the issue is filter failure, not information overload. (T)here is an inherent connection between stories and experimental science: they are both about causes. A satisfying story is built around causal connections. 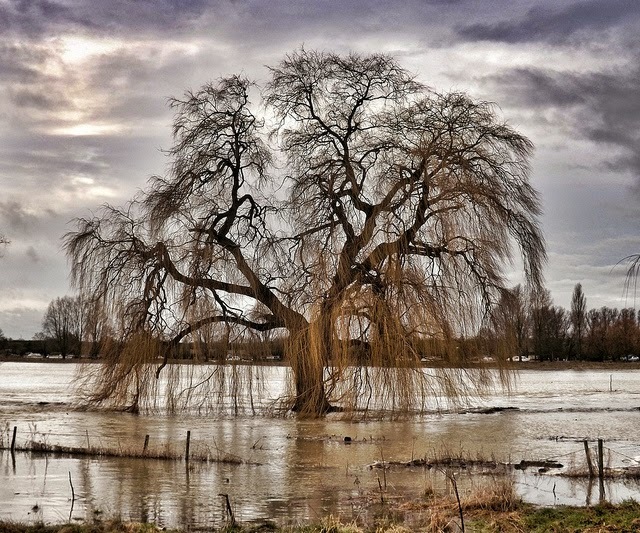 Without those causal connections, you have a series of disconnected events that makes about as much sense as a random inkblot. If we struggle with too many papers now, we will struggle even more with too many datasets. Ignorance is a much, much bigger problem than too much knowledge. Hill GW. 1979. Biogenic sedimentary structures produced by the mole crab Lepidopa websteri Benedict. 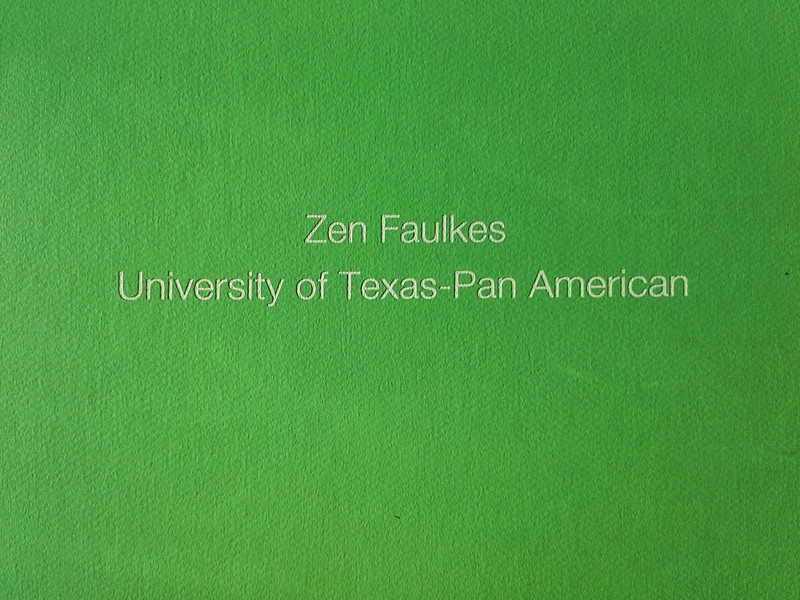 Texas Journal of Science 31(1): 43-51. Photo by Broo_am (Andy B) on Flickr; used under a Creative Commons license. If you look closely, you can figure out what city this little guy is from. When I tweeted this picture on the Real Scientists, someone claimed this has “the wrong number of legs.” Maybe. Maybe this little guys lost some in a fight or an accident, and is regenerating them. Or maybe this is actually a squat lobster, which usually tuck the last pair of legs (which are tiny and not used for walking) under their tail. From my recent excursion to the American Society for Parasitologists meeting. 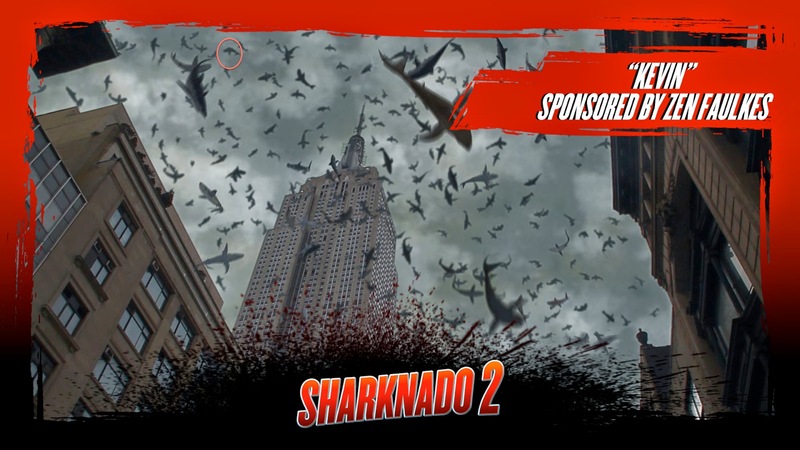 As I mentioned earlier, my parents got to be voice actors for Sharknado 2: The Second One. (They screamed.) I also got to name sharks in the film. The request for the names, as it happened, came exactly on my parents’ fiftieth wedding anniversary (! ), so I named my sharks after my parents. I was excited when I opened up the email and saw the image of the first shark! Wow! It’s a shark that’s part of a celebrity cameo! Kelly Ripa is dispatching my mon’s shark on Live with Kelly and Michael! Kelly retweeted a picture of this during the first showing of Sharknado 2. When I recently published a paper (full text on DoctorZen.net) about finding a sand crab (Lepidopa websteri) where it hadn’t been before, I wrote about the images of the crab I found in a nature center. But I got thinking about how this crab has been shown in scientific papers. 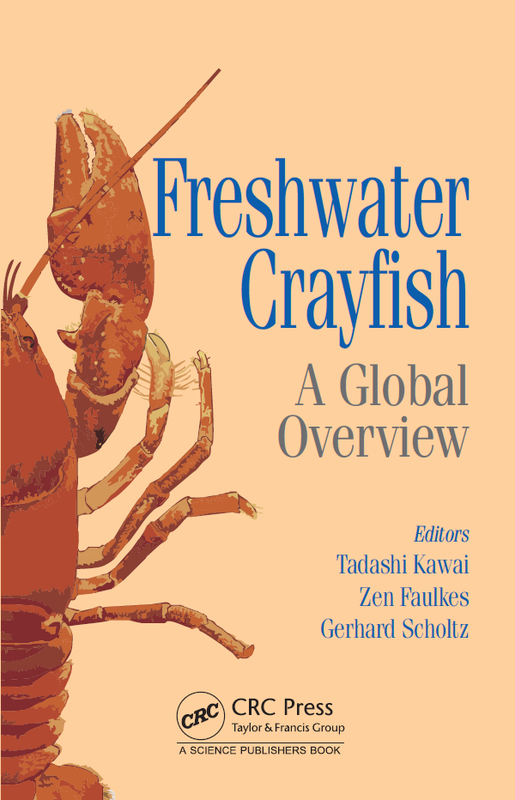 The scientific literature on this crab is the almost only place where you will find images of it. A search of Google Images reveals only one page with pictures of the species (a googlewhack!) and that’s in the larval state. There are no pictures of adults except my own blog posts. It’s fascinating to compare the different images, for their use of technology, and the pros and cons of each representation. Benedict 1903: The carapace is prominent and easy to see, but while this line drawing is clear, it ignores most of the animal. Color, in alcohol, probably also in life, pure white, but everywhere beautifully iridescent, giving pearly reflections at every turn of the body. I read that description and I want something so much more than the picture of a damaged individual! I want to see the beautiful colours they are writing about! In fairness, the original picture on paper may be better than the scan shown here, but it would still be black and white. Pearse et al. 1942: This picture may be the most elegant representation of L. websteri from an artistic point of view. There is some beautiful brush and ink work on display here. And while I wish the species name was set in italics, I am still attracted to the handmade warmth of the letters. Scientifically, though, there’s one big mistake. The caption lists the appendages below as the five walking legs. Nope. The first one, over on the left, is one of the mouthparts, not a leg. I know why this happened, though: this crab is a relative of hermit crabs (infraorder Anomura). All the crabs in this group share a feature: their fifth pair of walking legs are very small, and in sand crabs, tucked underneath the tail. Boyko 2002: Technology has moved on. You can see an incredible increase in the level of detail and precision in these images, facilitated by digital cameras and graphics software. These images are invaluable for identification and technical work. They are very much in line with the sort of represented used by Benedict back in 1903. But they show an “exploded” animal, with none of the parts in relation to each other, and no images of the prominent antennae. World Birding Center 2009: I’m cheating a little, because this picture isn’t in the scientific literature. But it is in a professional nature center and museums generally strive for images that are scientifically accurate and engaging. This one is... neither. It looks like it was drawn from a very old specimen preserved in alcohol, or other images, rather than a living animal. Faulkes 2014: These are, as far as I know, the first colour photographs on an adult L. websteri in the scientific literature, or even the Web. Now, you can finally get a sense of the beautiful pink overtones and iridescence that Hay and Shore mentioned. The other thing I’m happy about with this figure is that it shows the whole, live animal, with everything in context. You can get a sense of the very first thing I noticed about this animal, which helped me recognize instantly that it was something different: the length of the antennae. Update, 16 June 2016: Found a wonderful photograph of this species on Flickr. It’s much better than my own. I think it was taken after mine (February 2014) but posted before my paper was published. I can’t embed it here because it does not have a Creative Commons license. Benedict JE. 1903. 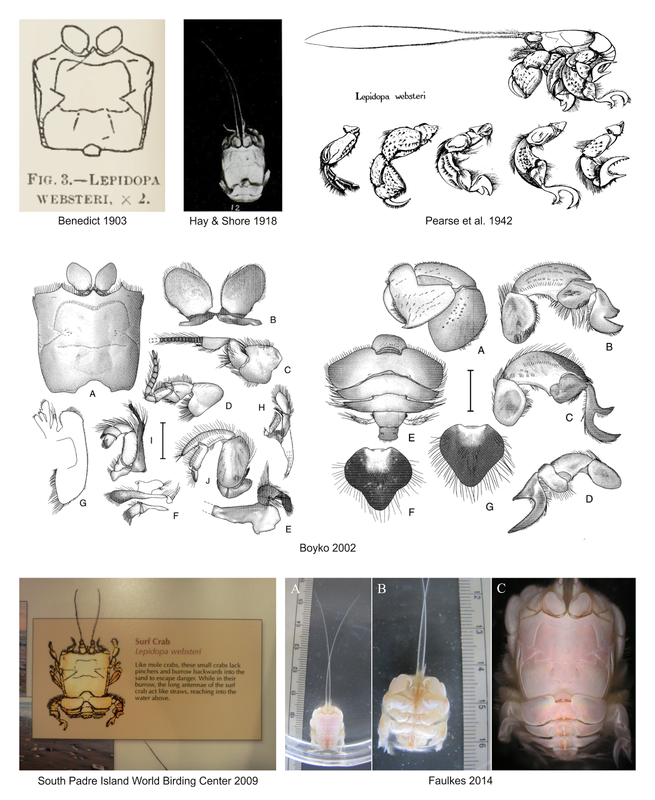 Revision of the Crustacea of the genus Lepidopa. Proceedings of the United States National Museum 26(1337): 889-895. Hay WP, Shore CA. 1918. 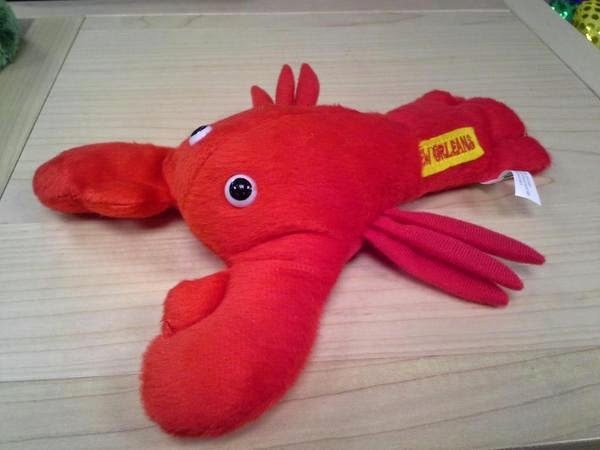 The decapod crustaceans of Beaufort, N.C., and the surrounding region. Bulletin of the Bureau of Fisheries 35: 369–475. People are still trying to work out how to use Prezi. What started as a heartwarming story about a girl’s science fair project just keeps getting more complicated.